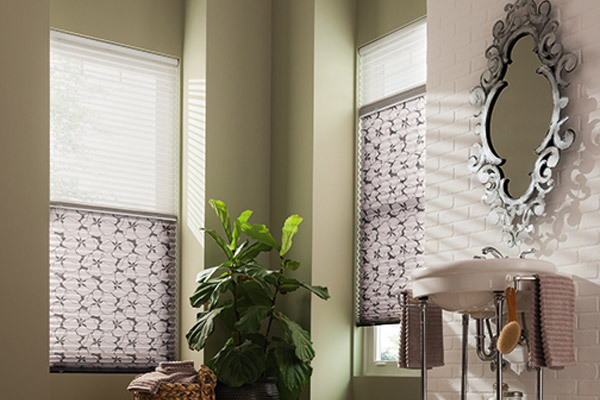 Pleated Shades offer you an array of patterns, colors and textures. These shades consist of designer fabrics folded into perfect pleats that make a bold statement of style. Pleats are offered in two sizes 1” and 2”. They can be unlined, for the maximum amount of light filtering. Or if you prefer a privacy liner, for diffused light. Blackout Liners provide the maximum amount of privacy. Fabrics can be paired together on one shade, providing versatility for day/night use. These sleek shades provide a classic look while maintaining a modern style. Dress your windows with Pleated Shades.